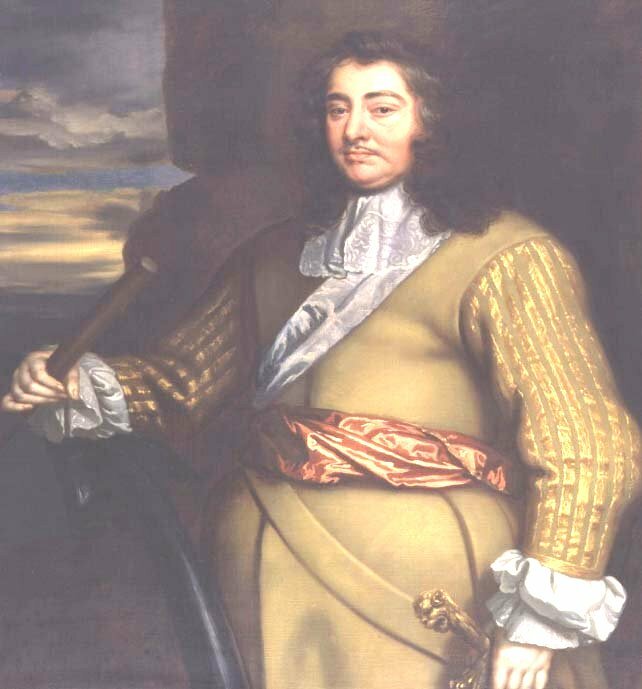 As with the battle of 1471, so General Monck's eventful night in Barnet in 1660 was entirely due to the road. On 2 February, in the final phase before the restoration of Charles 11, Monck marched southwards from St Albans and stayed overnight at Barnet, probably at the Mitre. One of his chaplains, John Price, recorded that the general 'took up quarters only for himself and his domestique retinue...much business was here dispacht; orders were distributed for our next day's march into town [ie London], and that our soldiers should demean themselves civily in their quarters, and pay for them; for our money held out still'. The alternative scenario if military money had run out hovers like a chill in the air, not least because Price reported that 'The next day, before we came to Highgate, the general drew up his forces, which consisted of four regiments of foot and three of horse their number being 5,800, allowing 1,000 to each regiment of foot and 600 to each regiment of horse, besides officers' . This time, though, the excitement was limited to Thomas Scot, one of the commissioners sent by Parliament to keep Monck under surveillance, who at around midnight burst in after what must have been a brisk run through the streets, clad only in night gown, cap and slippers, to relay news from London that soldiers there 'were fallen into a high mutiny, and that there was a danger that they would joyn with the apprentices, who cryed upon the streets for a Free Parliament, and passionately desired, or rather by his authority required the general immediately to beat his drums and march'. Keeping his head, Monck 'calmly answered him, I will answer for this night's disturbance and be early enough in the morning to prevent any mischief'. He did agree to send a messenger immediately, who reported that the uproar had been soon quashed, thus strengthening the suspicion that Scot's dramatic performance and' motion for such a hasty march was... an artifice.. .so as to mingle the soldiers of both armies that they might be the less at the general's devotion'. 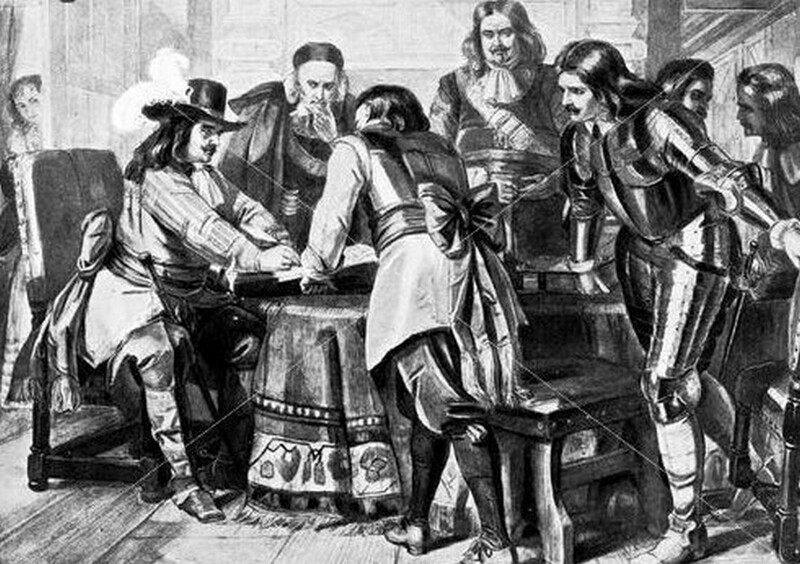 Monck signing the declaration which paved the way for the restoration of the monarchy in the person of Charles II.